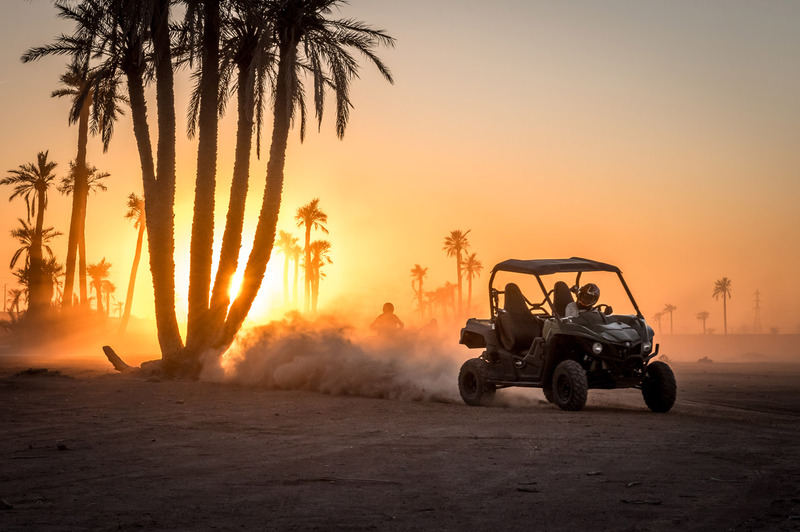 All access pass to the best spots around Marrakech! Combine adventure, discovery & comfort with safety for a family-friendly ride or an adrenaline-filled adventure and everything in between! 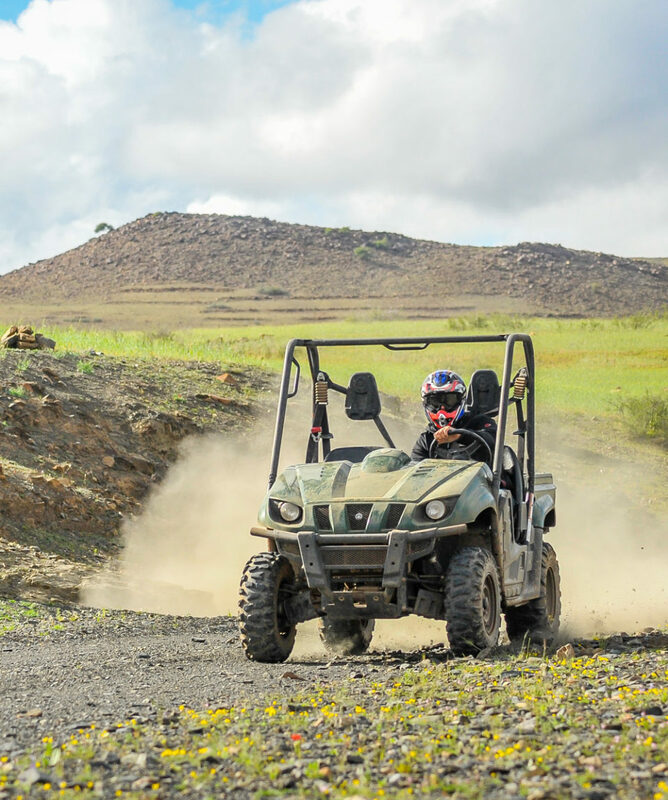 Buggies are by far the best way to discover secluded spots and enjoy amazing views of the great outdoors in safety and style. 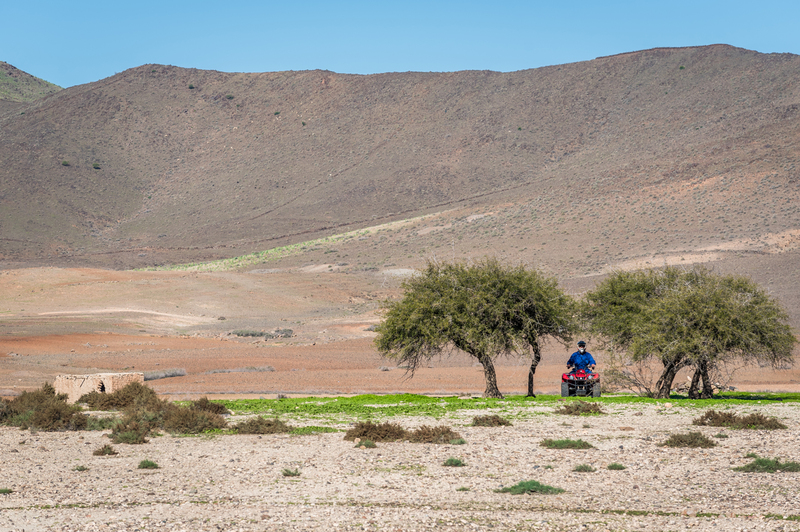 Across rocky wadis and stones desert, up steep slopes and down winding canyons, the robust reliability and good handling of our Yamaha buggies provide true all terrain access to the strange and wonderful Jbilet landscapes. Combine adventure, discovery & comfort with safety for a family-friendly ride or an adrenaline-filled adventure and everything in between! 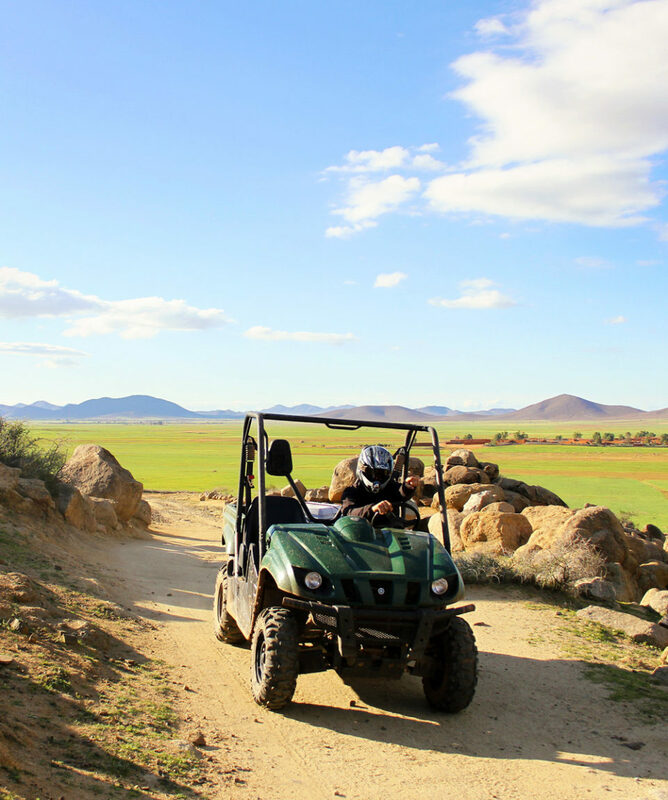 Buggies are by far the best way to discover secluded spots and enjoy amazing views of the great outdoors in safety and style. 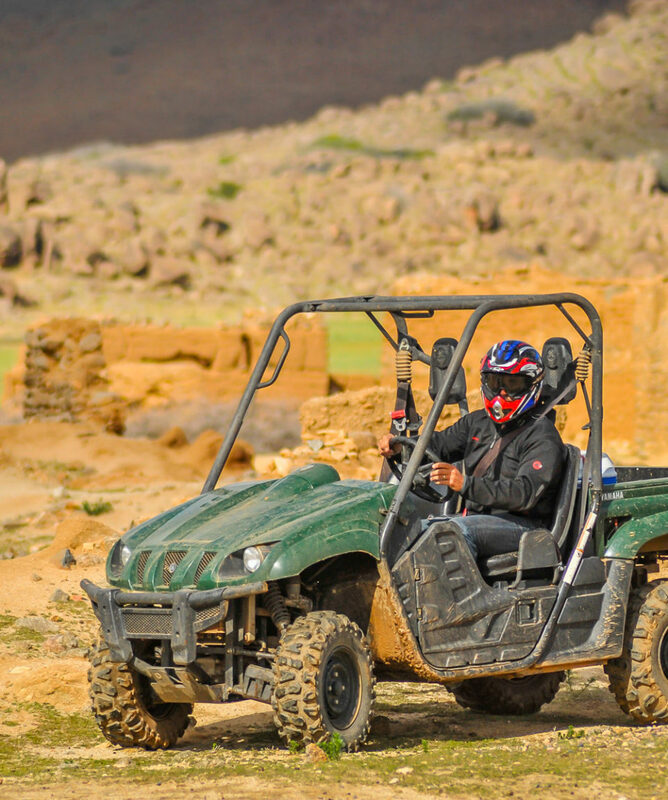 Across rocky wadis and stones desert, up steep slopes and down winding canyons, the robust reliability and good handling of our Yamaha buggies provide true all terrain access to the strange and wonderful Jbilet landscapes. Safety first! 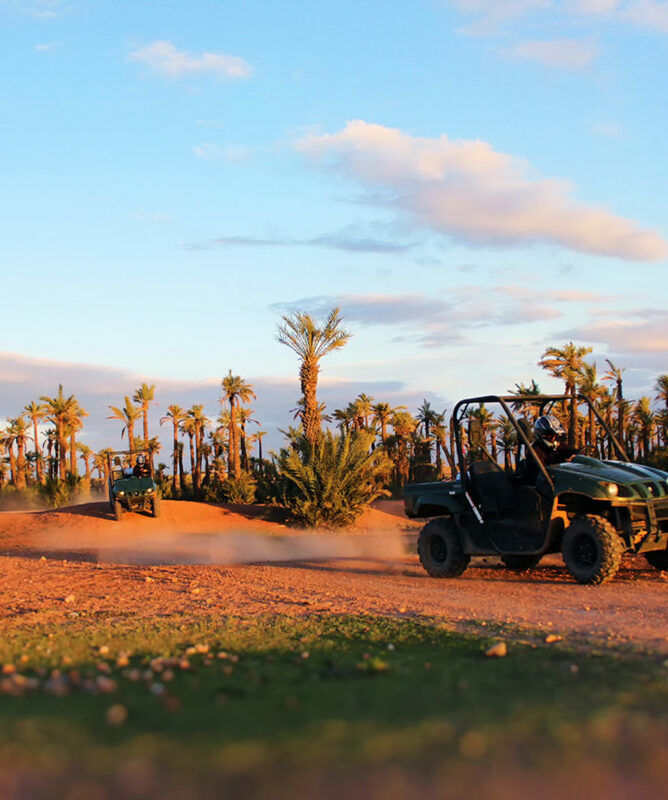 Equipment briefing (Yamaha SSV Buggy) : 2 hours to explore Marrakech’s northern landscapes: lush palmgroves, snow-capped mountain, adobe villages and millennial Berber hospitality! 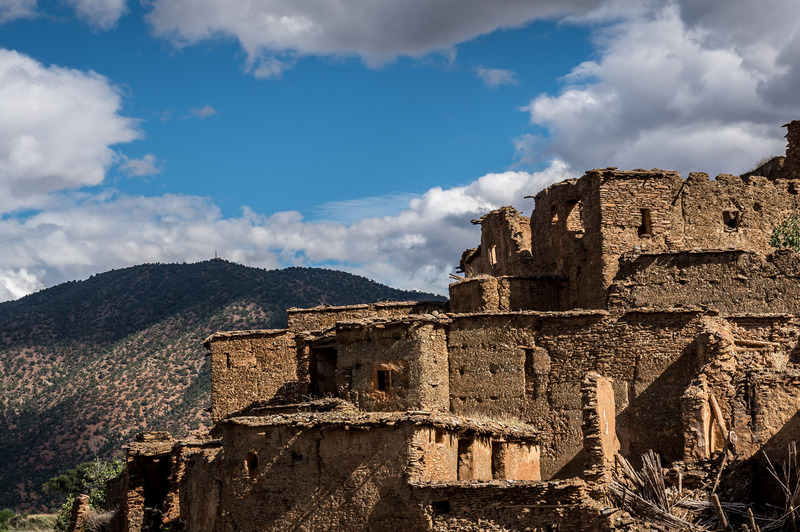 Our detailed knowledge of the area around our base, our top-notch in-house maintenance and the complete reliability of our equipment provide for a full day’s ride through the hilly, lunar landscapes just outside Marrakech. 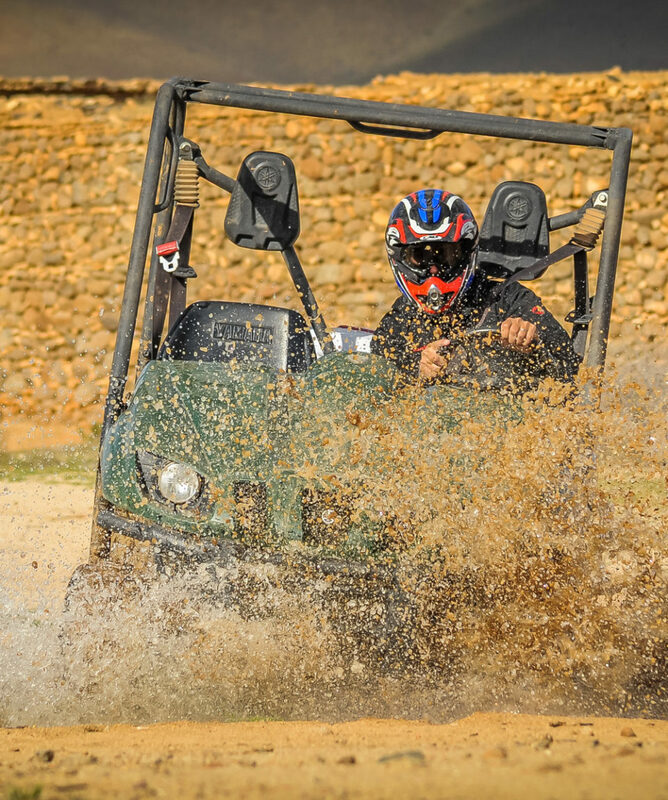 Your sturdy, safe & reliable buggy provides safe access across all terrains to remote spots and unique hideaways far from the beaten path. 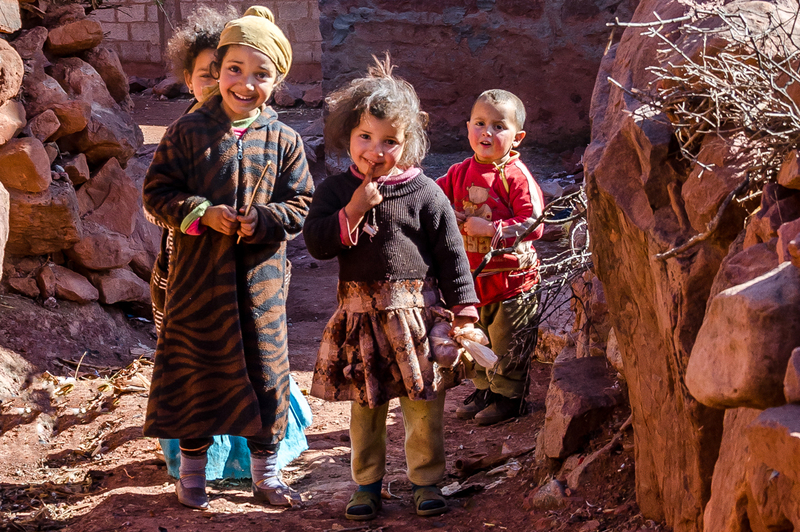 On the way, a halt is planned in a little village to stretch your legs and enjoy millennial Berber hospitality around a pot of fresh tea and hot pancakes. Ever seen a palm tree with a snow capped mountain in the background as hues of red, crimson and ochre shift with the days light? Departures twice a day, 08:45 AM & 2 PM. Exact pick up time confirmed the day before by phone. 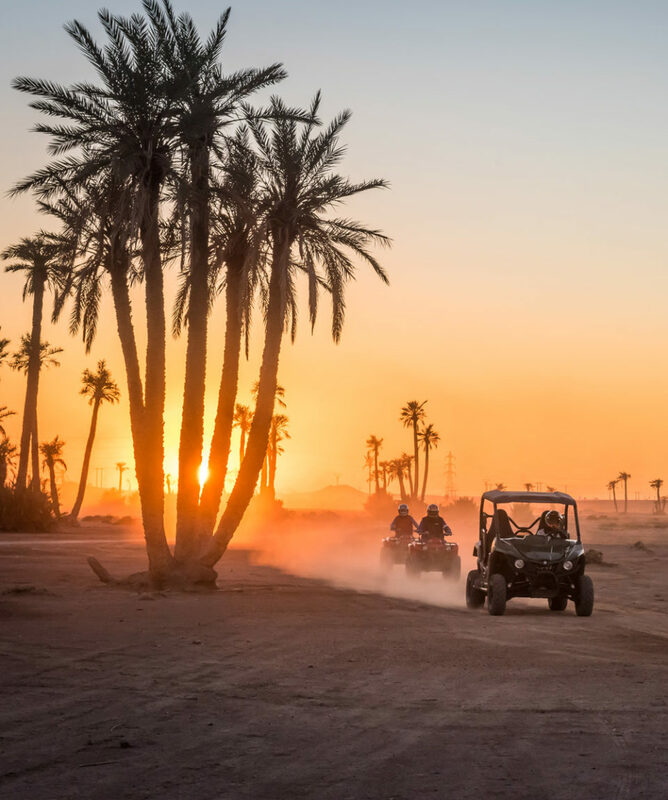 Total time about 4 hours includes meet & greet, transfers, arrival, preparation, briefing, initiation, ride, debriefing & hotel or riad return. Minors under 16 must ride as passengers. Minors 16 and over require parental waiver to drive a buggy. Have your camera with you for great snapshots or serious photography. We recommend you wear closed shoes, comfortable clothing, sunscreen and warm clothes for winter sunshine. To best enjoy this experience, we suggest you respect local customs and avoid wearing shorts or skirts. Pictures taken by photographers are sold at the end of the tour (starting from 50MAD / 5€); No obligation to buy. Bottled water for the ride. Tea & snack break with a local family. Tips and extras are not included..
We do not provide personal risk insurance.